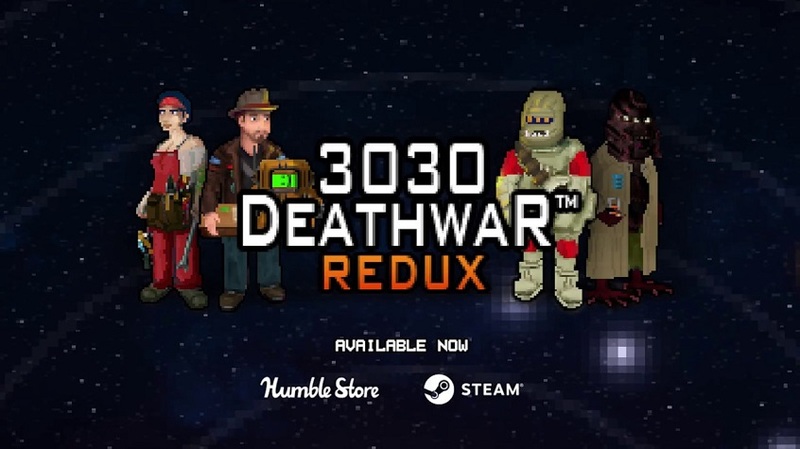 Crunchy Leaf Games announces its open-world space adventure game 3030 Deathwar Redux has received a new modding-focused update release now available for Windows PC on Steam and Humble Store! Dubbed 3030 Deathwar Redux: The Nanobot Conspiracy, this gigantic new update is FREE to all current and future 3030 players. Chiefly, the release opens all game files to be modded - that includes scripting, missions, dialogue, characters and game locations. Players can easily add new ships, weapons and upgrades, translate the text files to another language, or even write personal side-quests and storylines for other players to explore. With a new Modding Manager and Mod Uploader tool for Steam Workshop, the possibilities are endless! 3030 Deathwar Redux combines top-down space trading and combat with a classic 2D adventure game experience reminiscent of classic 90's adventure titles, checking both boxes emphatically. The game is accompanied by The Kyoto Connection's amazing soundtrack, and both are backed by a 96% positive Steam user rating from nearly 200 reviews, with high placement on multiple Steam Space Game and Hidden Gem lists. 3030 Deathwar Redux is currently available for $14.99, with a special 34% discount through March 20th that takes the price to under $9.99.